Welcome! 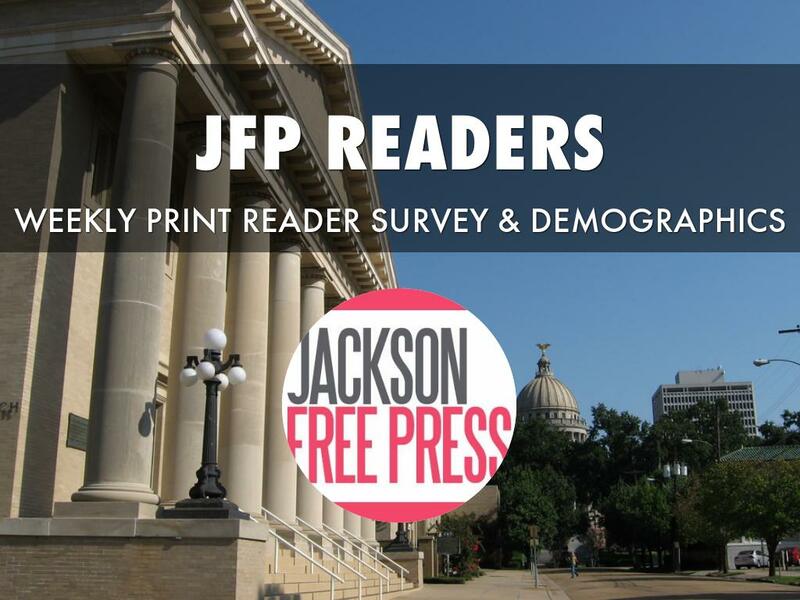 This report shows some of the insights from our 2016 reader survey of the JFP's print edition, conducted by the Circulation Verification Council. 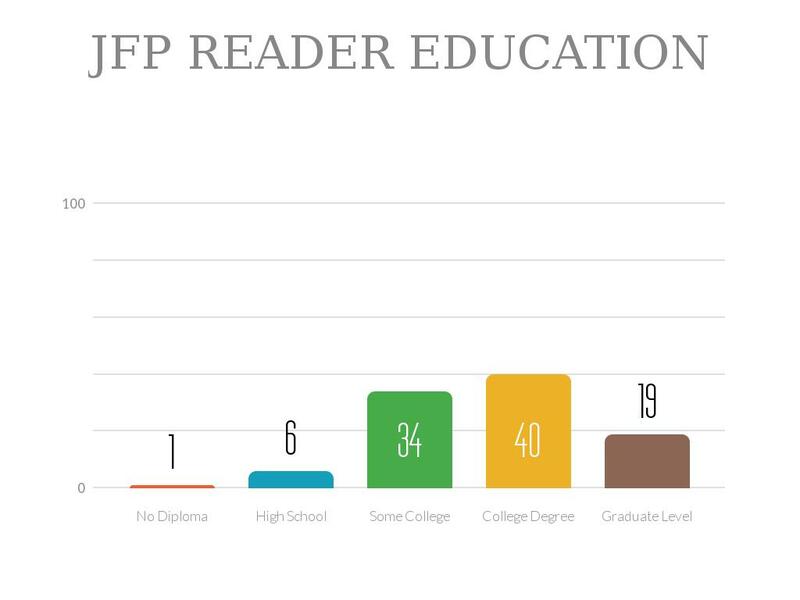 JFP's reader survey and demographics from Circulation Verification Council. 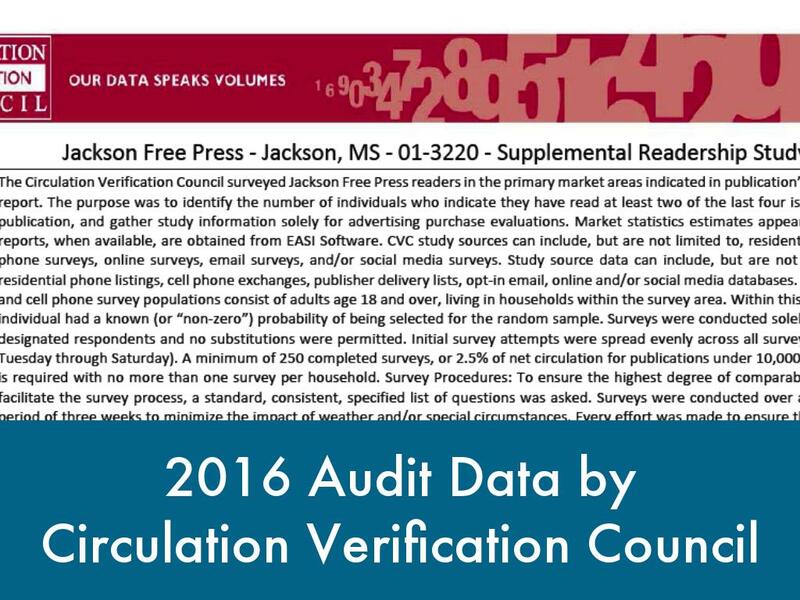 The Circulation Verification Council is an independent, third-party organization that verified our circulation and conducted our reader survey for 2016. We distribute 16,000 copies of the JFP each week, with over 15,000 getting into readers hands (about a 93% pick-up rate). 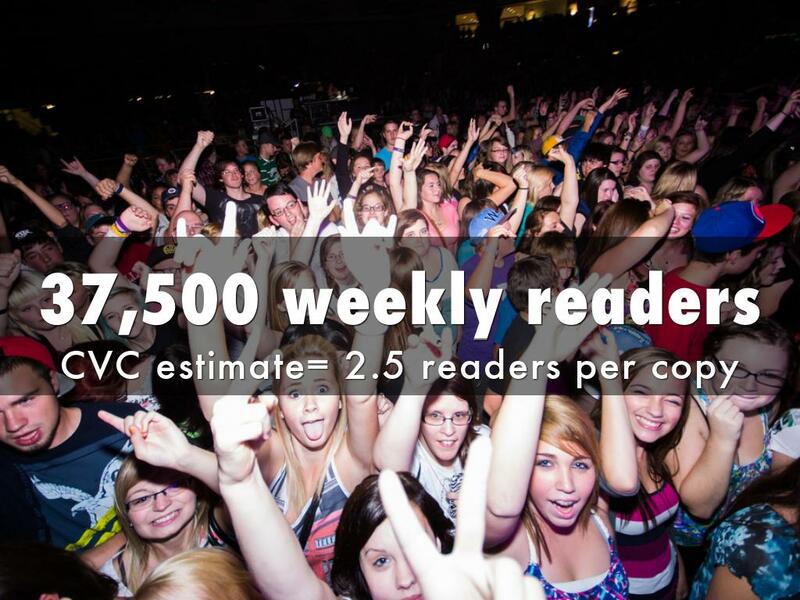 That translates to just over 37,500 readers per week. DO YOU BUY PRODUCTS FROM ADS SEEN IN JFP? 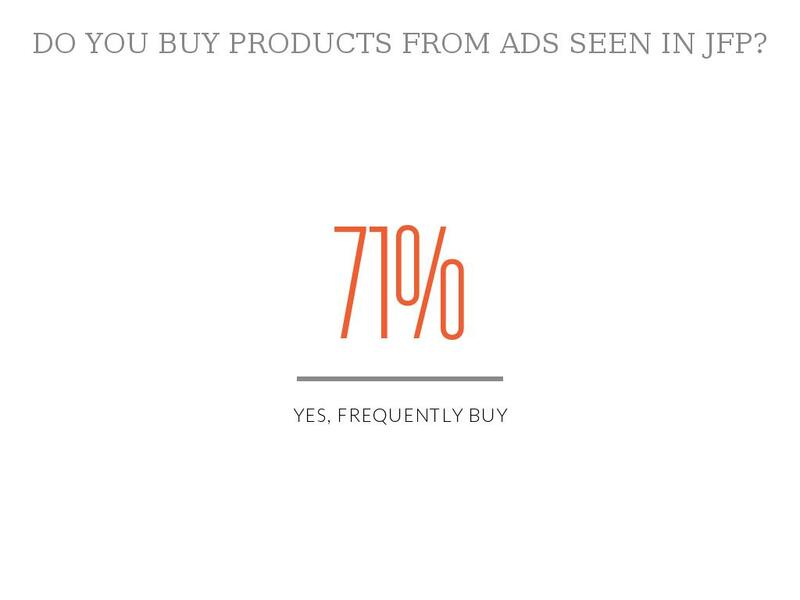 71% of our readers say they *frequently* buy products from ads seen in the Jackson Free Press. That's 26,265 in a typical week. 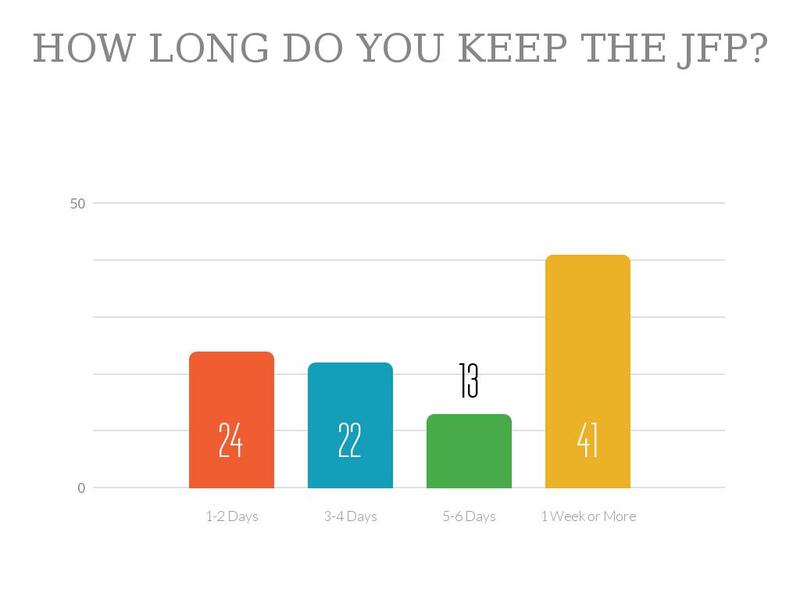 HOW LONG DO YOU KEEP THE JFP? An astonishing 41% of our readers say they hold on to the JFP for over one week -- a significant driver of advertising effectiveness. 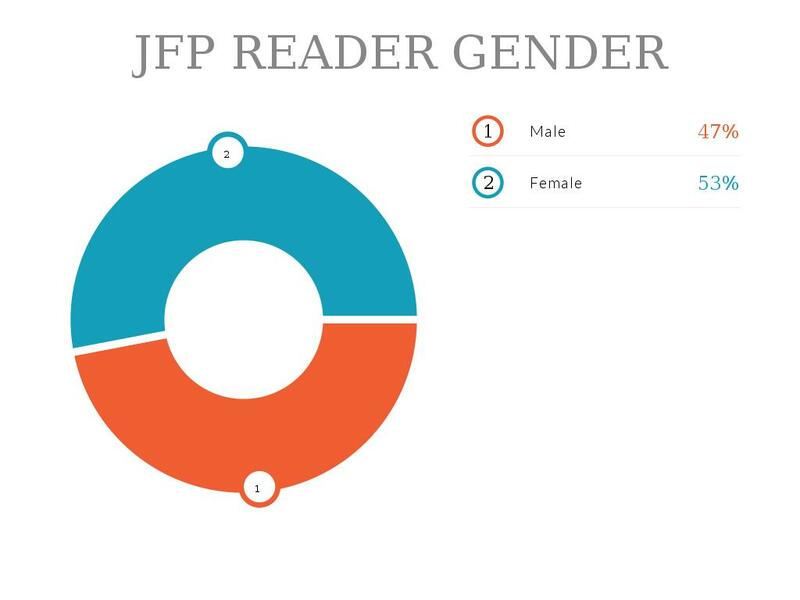 Our readers are slightly more female than male, at 53% female vs. 47% male. 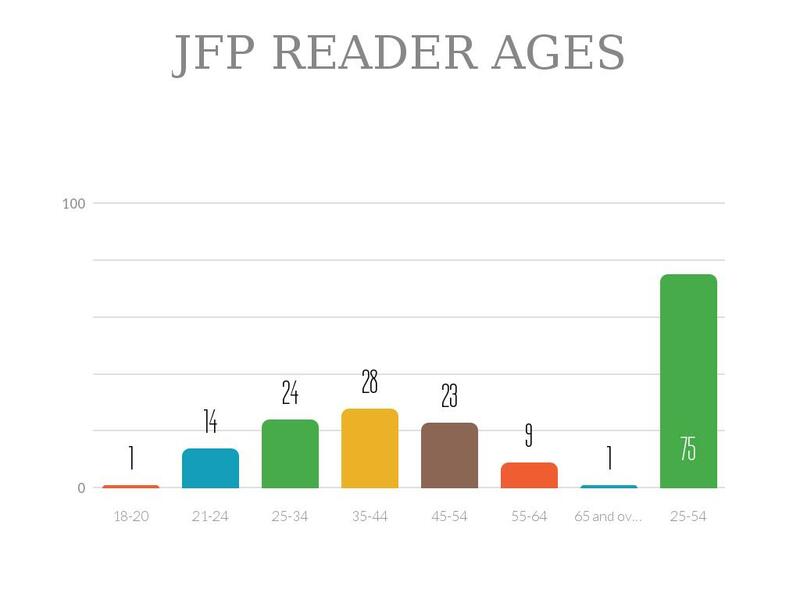 The story of our readers is that they're 25-54 years of age; the largest group is 35-44. Our median age of reader in the print edition is around 42. 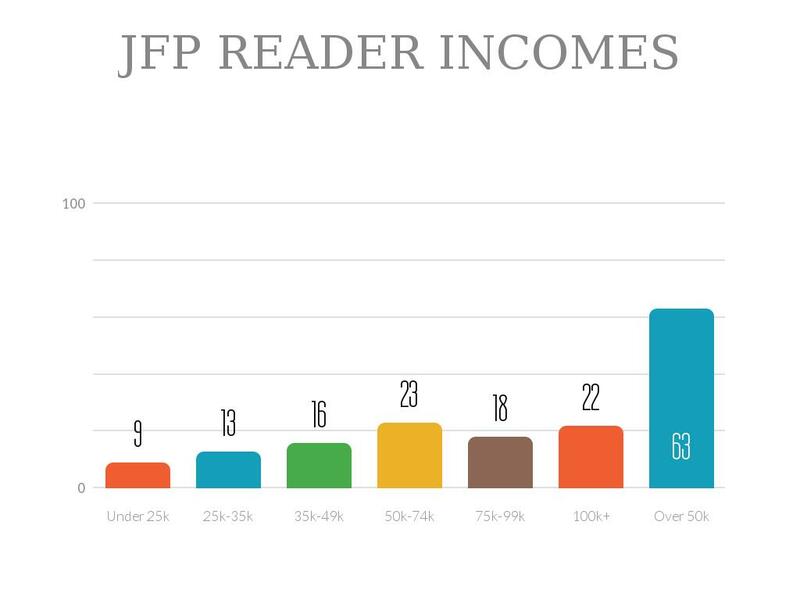 JFP readers have strong household incomes... over 63% have $50k or more. 40% have incomes over $75k. Our readers are well-educated: 93% have some college education and 59% have a bachelor's degree or higher. CVC allows us to break out different categories based on reader responses. 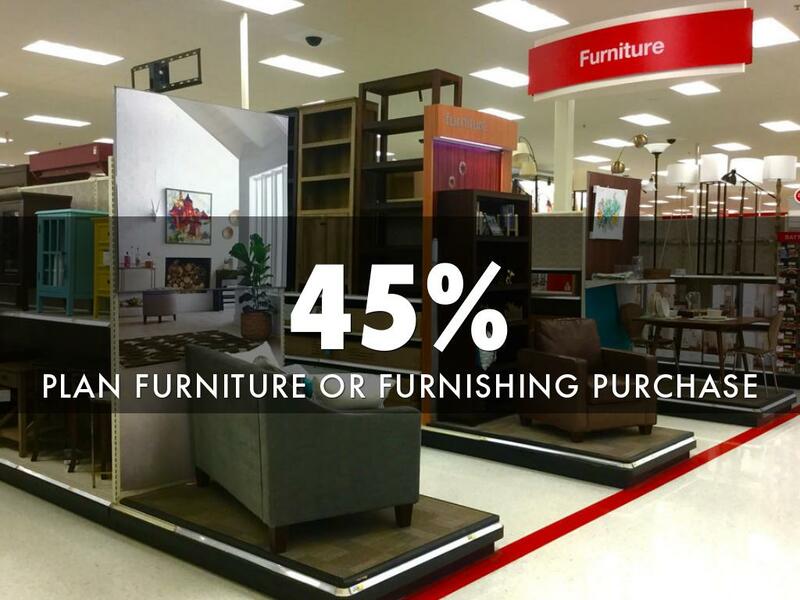 In this case, over 45%, or about 16,875 of our readers, say they plan to shop for home furnishings. 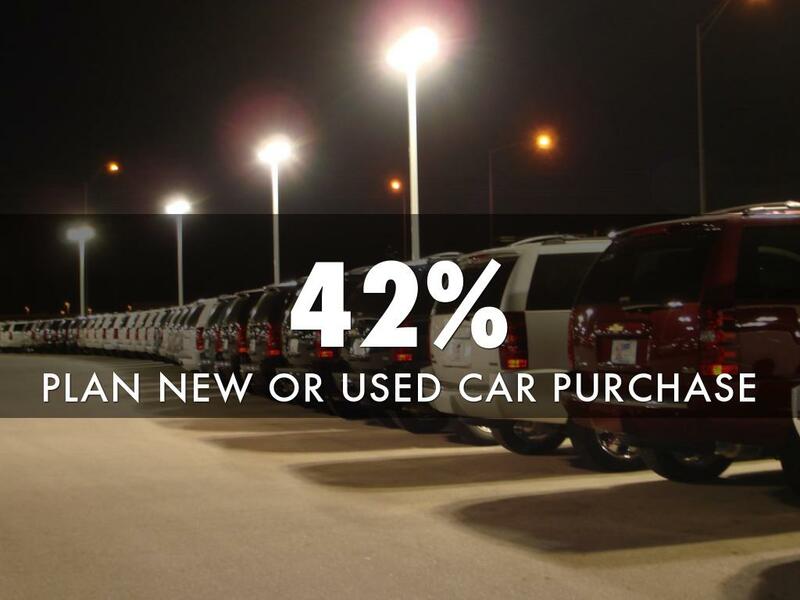 15,750 of our readers plan to buy a car according to the 2016 survey. Home-owners? 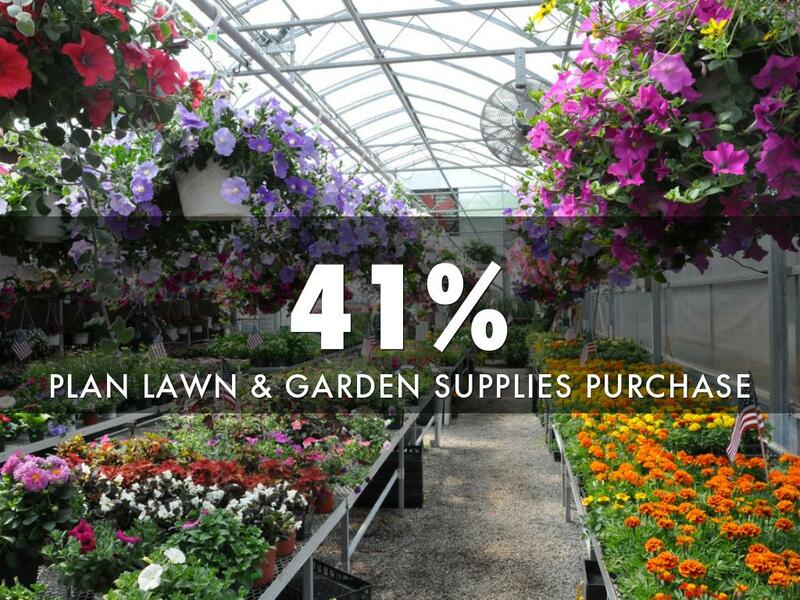 Yes... over 15,375 of our readers say they shop for lawn and garden supplies. 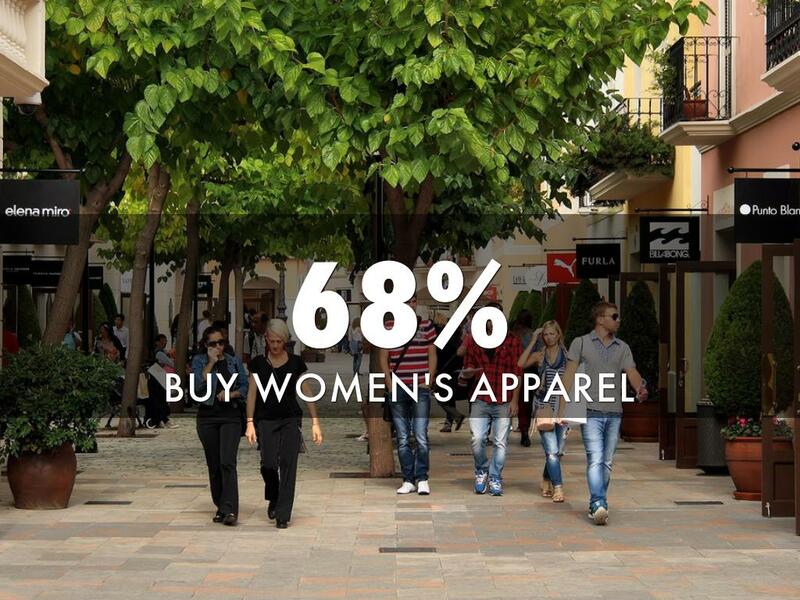 25,500 say they shop for women's apparel. JFP is great for reaching professional women for regular shopping AND around holidays to reach men shopping for women! Of course, our readers are diners and they attend night-time events—it's a core strength of who we reach. 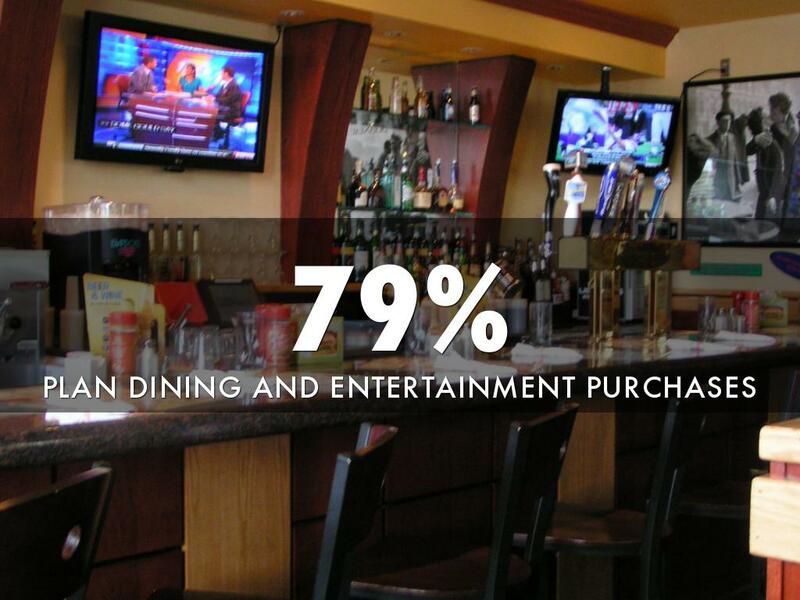 If you've got a restaurant, nightclub or entertainment venue you should already be talking to us! You can reach our sales and marketing department at 601-362-6121 x16. 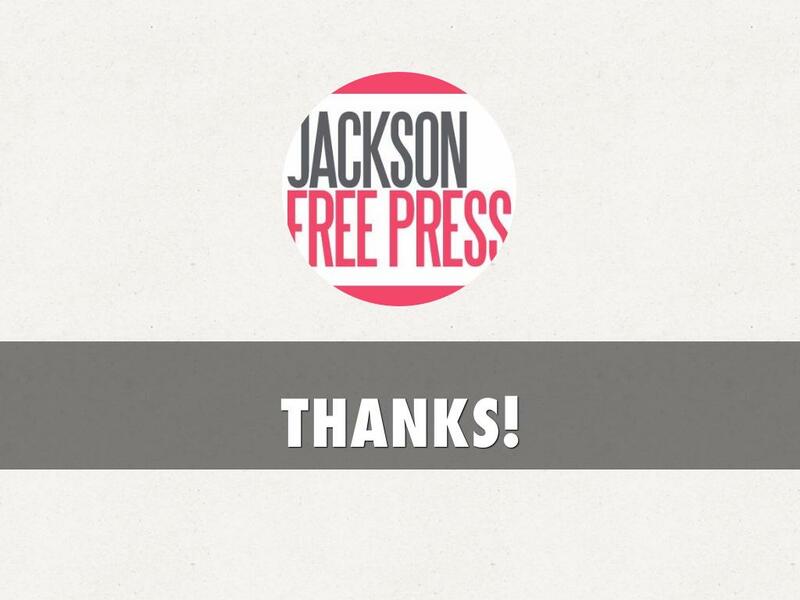 Or send email to todd@jacksonfreepress.com for more info on demographics or to talk to us about your marketing needs.